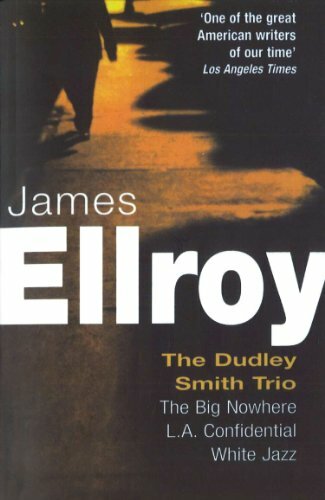 Three of James Ellroy's most gripping crime novels featuring Lieutenant Dudley Smith in one volume. The Big Nowhere: In 1950s LA three men are drawn into the shadow of communist witch hunts and violent killings that force each one to confront his own personal darkness. But none is prepared for the maelstrom that awaits them. LA Confidential: LA Christmas 1951. Six prisoners are beaten senseless in their cells by cops crazed on alcohol. For the three LAD cops involved, it will expose the guilty secrets on which they built their corrupt and voilent careers. White Jazz: LAPD Lieutenant Dave Klein made the mean streets he works on mean. But now the FBI are out to get the cops who murder, bribe and beat to serve their corrupt careers and Klein is hung out as bait. Big fish leap at his throat - racketeers, narcotic kings and scum with skeletons they would kill to keep hidden. Three of the most epic and powerful crime novels ever written, this volume is an explosive journey through the dark side of recent American history, and crime writing at its best.